Deflategate: Richard Berman’s ruling in Tom Brady’s appeal will haunt the NFL for years. The NFL’s Deflategate defeat will reverberate for years unless the league reforms now. 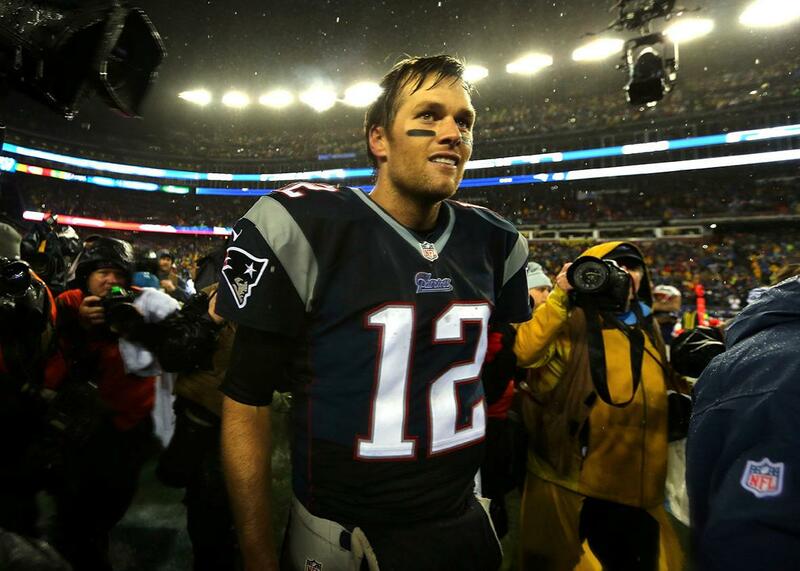 Tom Brady after the 2015 AFC championship game, site of Deflategate, Jan. 18, 2015. When Judge Richard Berman vacated Tom Brady’s four-game suspension for his alleged role in Deflategate, Berman not only handed the NFL a high-profile legal defeat, but he established the courthouse as the most viable option for players hoping to challenge the league’s policies. It’s a sign that the league must reform or face major—and embarrassing—ramifications for its disciplinary actions. When allegations arose that the Patriots had illegally deflated game balls in the AFC championship game, the NFL hired Ted Wells to conduct an independent investigation. The resulting Wells Report concluded that it was “more probable than not” that Tom Brady “was at least generally aware” of the ball-deflation scheme, prompting NFL Commissioner Roger Goodell to suspend Brady for four games. Brady appealed the punishment, and the matter went to arbitration. Goodell, serving as arbitrator, upheld the suspension and proclaimed that Brady “knew about, approved of, consented to, and provided inducements and rewards in support of” the deflation scheme. The league’s response to Deflategate was reminiscent of its response to the Miami Dolphins bullying scandal in 2013. Allegations arose that Dolphins players had bullied offensive lineman Jonathan Martin to the point of a breakdown. (Martin briefly checked himself into the hospital before leaving the team.) The league commissioned an independent investigation, also headed by Wells, which produced a 144-page report detailing the torment heaped upon Martin by his teammates. It vilified lineman Richie Incognito, who would not find work in 2014, and led to the firing of offensive line coach Jim Turner. The report served as some rare good publicity for the commissioner’s office. The NFL’s real success, though, might have been that it kept the bullying case out of court, thus preventing any serious review of Wells’ report. Deflategate resulted in no such settlement and proceeded into federal court in New York when the league moved for Goodell’s ruling to be confirmed. Judge Berman’s order to vacate that suspension lambasts the NFL’s disciplinary process and the supposed independence of the Wells Report. Berman found that Brady could not have known, prior to committing his alleged misconduct, that his actions could give rise to a four-game suspension. This lack-of-notice argument provides an obvious avenue for players contesting discipline in the future, particularly discipline for actions not contemplated by the collective bargaining agreement. Similarly, Berman severely curtailed Goodell’s ability to use the CBA’s catchall prohibition on “conduct detrimental to the league” to justify punishments. While Goodell argued that the provision allowed him to punish Brady well in excess of what the CBA permits for equipment violations, Berman found this argument meritless. While Berman did not remove the broad “conduct detrimental” policy from Goodell’s disciplinary arsenal, he dulled its edges considerably. Ultimately, appeals on any of these grounds will not always be successful, but the threat of them will at least force Goodell to show his work prior to issuing punishments. Judge Berman’s order also calls into question the impartiality of the NFL’s purported “independent” investigations. On top of the NFL’s substantial role in producing the report (Jeff Pash, the NFL’s general counsel, had a hand in its writing), the league and Wells were troublingly intertwined throughout the entire process. Specifically, Wells’ law firm served as the independent investigator in assembling the report but was then immediately retained by the league for Brady’s arbitration hearing. Such a maneuver enabled the firm to share its files with the league while denying them to Brady, hindering his defense. Judge Berman’s scathing ruling will only encourage the NFL players union to use the courts when contesting their league-issued punishments. While Brady is not the first player to successfully challenge Goodell’s discipline in court, he is the first to do so without the support of a glaring procedural defect underlying his punishment. Brady’s suspension represented the NFL’s best attempt at due process, and the league still came up woefully short. Berman’s ruling will affect the way we view NFL discipline in the future, but his questions regarding the league’s independent investigations could also rekindle interest in Wells’ Dolphins bullying report. Incognito, the primary villain in that case, recently criticized Wells for pursuing only facts that fit his agenda. Jim Turner, the fired offensive line coach, has filed a defamation lawsuit against Wells. While the scandals were unrelated, the Deflategate backlash toward the NFL has no doubt empowered Incognito and Turner. The league’s deft handling of the bullying problem, one of Goodell’s triumphs as commissioner, may prove to be yet another casualty of Deflategate. The damage to the NFL from the Brady decision is irreparable. Berman shined a spotlight onto the NFL’s kangaroo court, laying bare Goodell’s disregard for due process. It should now be abundantly clear to the league that reforms are necessary to prevent this type of embarrassment going forward. First and most obvious, independent arbitrators should be installed to hear all player discipline appeals. Goodell’s repeated insistence on reviewing his own punishments is a troubling exercise of his discretionary powers. Second, the league must allow greater transparency in its disciplinary process. It must stop moving the goal posts when levying punishment and creating ex post facto justifications for its discipline. Finally, the league must stop using the findings of “independent investigations” as justification for punishment. The NFL’s role in preparing the Wells Report and its maneuvering to deny Brady access to the investigation’s files establish that Goodell cannot be trusted to allow an investigator to operate independently. While it remains to be seen whether Berman’s ruling could contribute to Goodell’s removal, it should at the very least operate to curb the commissioner’s powers, which is a good start.